At Tacoma Baptist Elementary, we are committed to helping students grow academically, spiritually, and socially. Our academic program provides a strong educational foundation in core subjects – math, reading, language arts, science, and history – along with a variety of enrichment opportunities throughout the elementary grades - music, computers, physical education, art, and band. With small class sizes, TBS teachers get to know their students and use a wide range of instructional methods to meet their individual learning needs. Elementary students are nurtured spiritually in daily Bible classes, weekly chapels, and a Biblical worldview that permeates every subject and lesson. Students have regular opportunities to live out what they’re learning – loving and serving others through local and global mission projects. 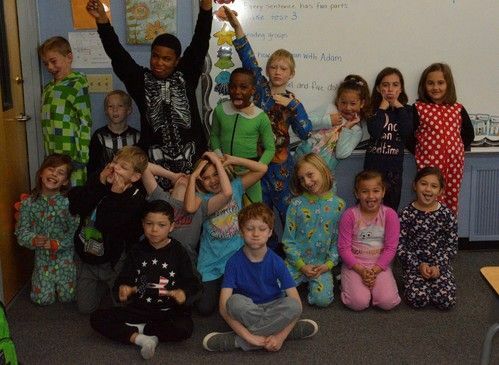 Students at Tacoma Baptist Elementary learn in a safe and nurturing environment, where caring teachers desire to see students grow as individuals according to God’s design. Expectations are set and behavior is managed based on God’s Word in order to help students to develop Christ-like character. · Growing in their Christian walk. · Emerging defenders of their faith. · Be a committed to a local church and serve others. · Understand the spiritual disciplines of prayer and fellowship. · Recognize that God has a purpose for their lives, and affirm the authority of Scripture. · Understand a basic Biblical worldview. · Master core competencies in academic disciplines including reading, writing, speaking, mathematics, history, the sciences, geography, languages, and the arts. · Be prepared for junior high. · Understand major biblical themes and are able to navigate through Scripture. · Practice effective study skills, test taking techniques, listening, observing, and critical thinking. · Develop tools to become problem solvers and creative thinkers. · Demonstrates basic skills in written and verbal communication. · Identify healthy life style choices and personal hygiene habits. · Foster respect and integrity in human relationships.